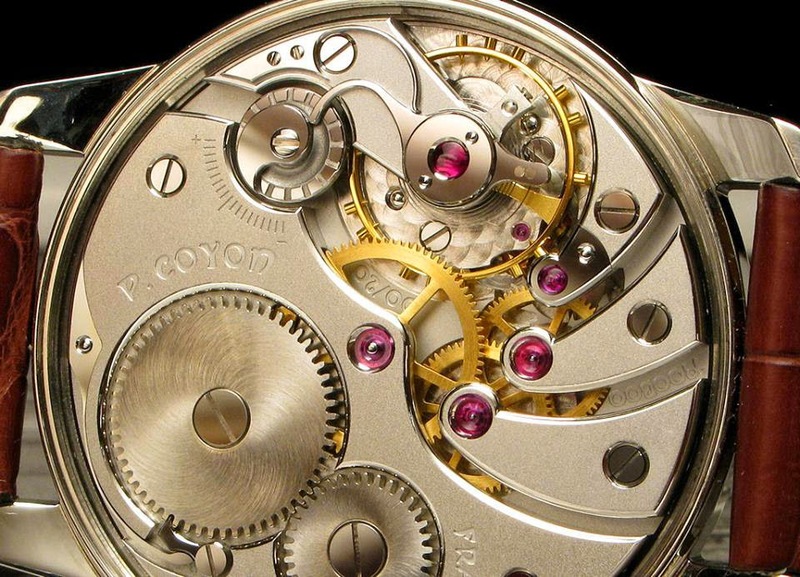 Pascal Coyon is a French watchmaker which is creating some buzz among watch enthusiasts that are looking for high quality watches with superb finishing at reasonable prices. He is based in Bayonne, in the South West of France, not far from Biarritz. 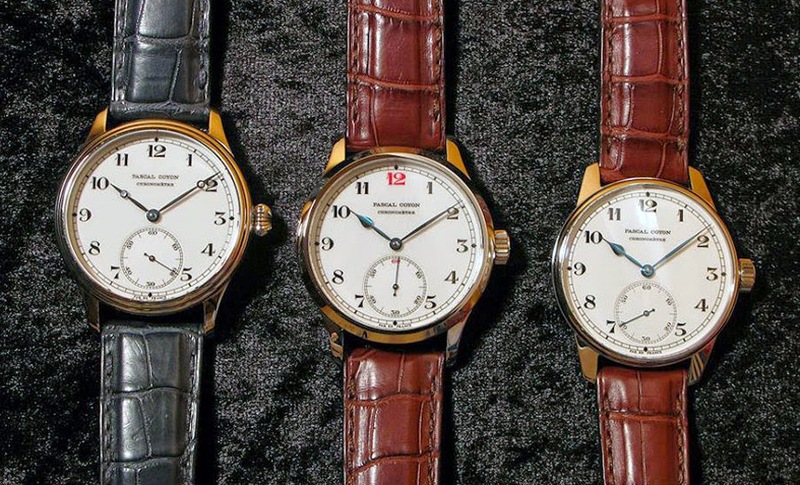 A skilled watchmaker focused on watches restoration, three years ago he decided to develop his own watches: the results are truly outstanding. He recently unveiled the Chronomètre, a watch from the classic design powered by movements that he obtains from heavily redesigned and modified Unitas movements beating at 18,000 vibrations per hour (2.5 Hz). The finishing and the architecture of the resulting movement was inspired by movements of the early 1900s and in particular by a Longines pocket watch movement, the calibre 19.70. The comma-shaped regulator index for micro-metric setting gives a distinctive touch to the movement which also displays masterly performed bevelling. 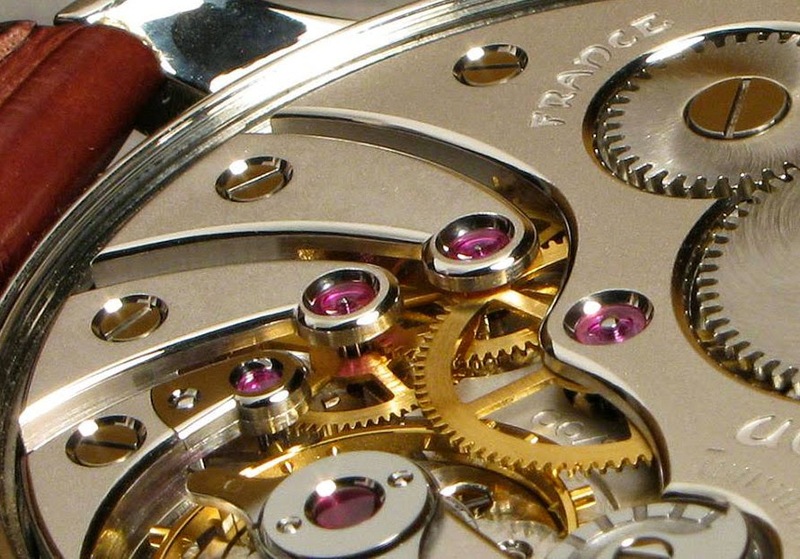 The movement is offered with three types of finishing: yellow gold coated, pink gold coated and rhodium plated. 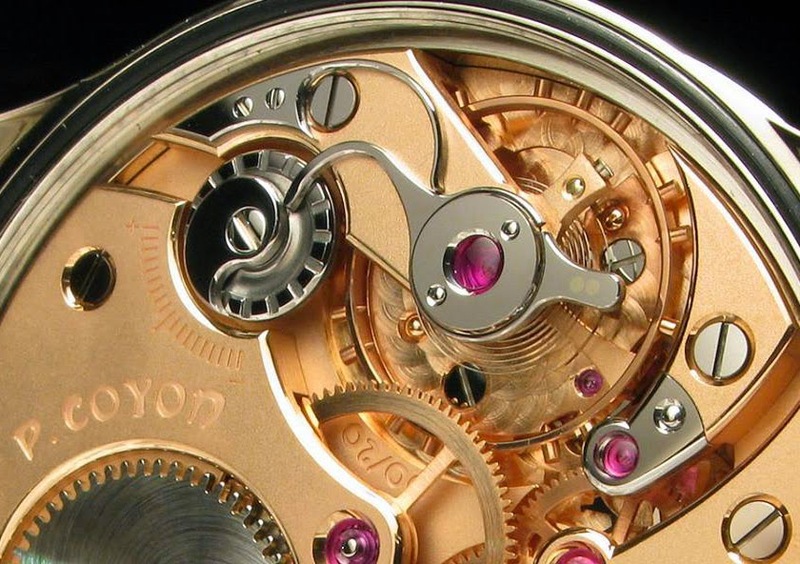 Only 60 movements will be produced, 20 for each type of finishing. 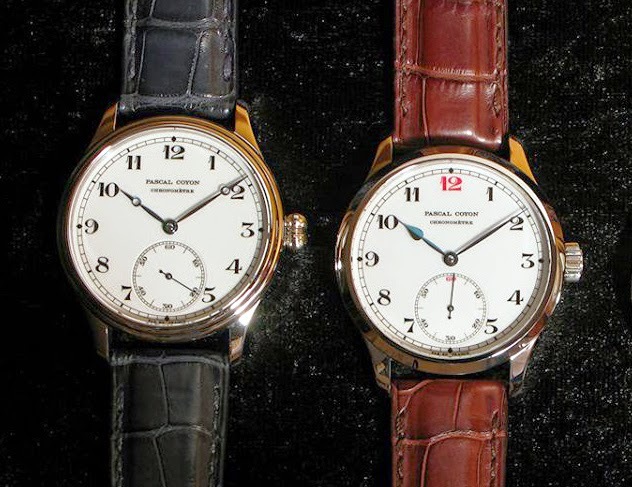 The case of the Chronomètre is available in three variations: 42 mm with gadrooned bezel, 42 mm with smooth bezel, and 41 mm with smooth bezel and a slightly domed crystal. The onion-shaped crown, that you can see in some pictures of this article, is an option. 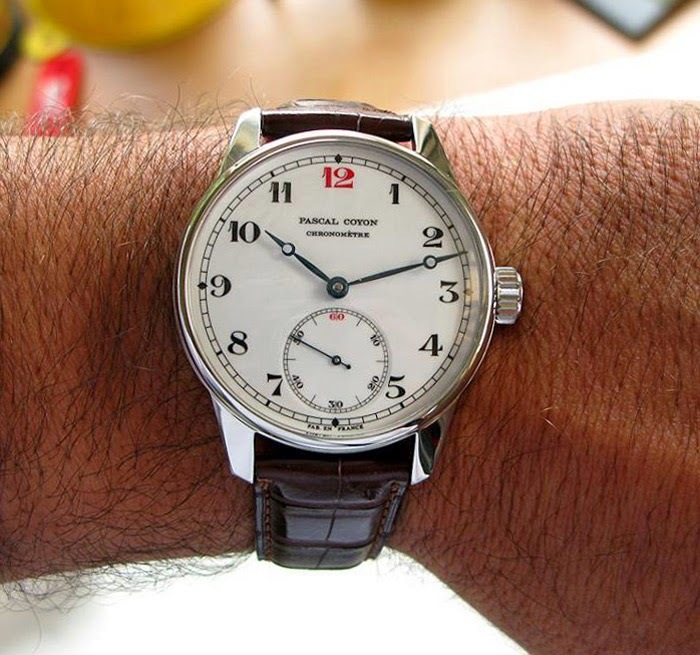 The white lacquered dial with railway minute circle and Arabic numerals is available with or without "12" and "60" numerals in red. 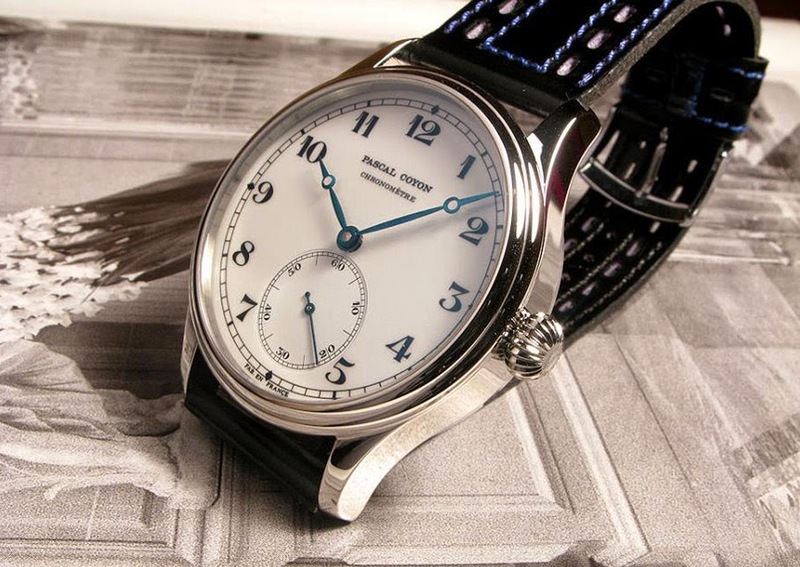 It is also possible to choose between blued pomme hands (better known as Breguet hands) and marine hands. 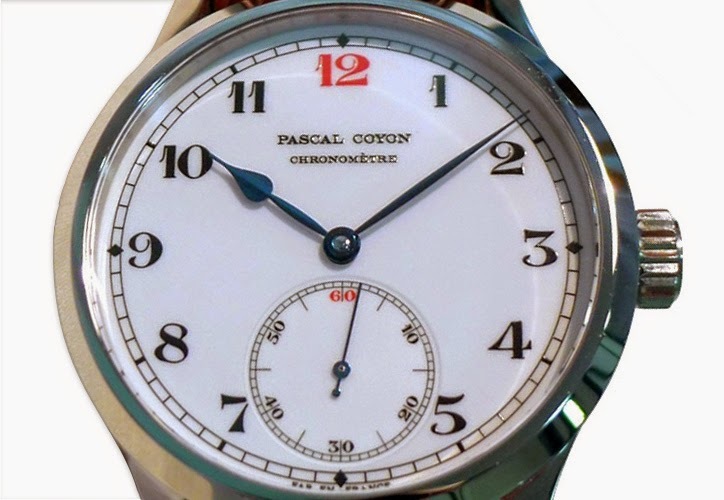 The price of the Pascal Coyon Chronomètre, independently of which case/dial/movement combination one chooses, is 4,125 Euro without taxes which appears to be pretty appealing compared to the overall quality of the watch. Each watch is delivered with the bulletin from the Observatoire de Besancon certifying the chronometric performance of the whole watch. 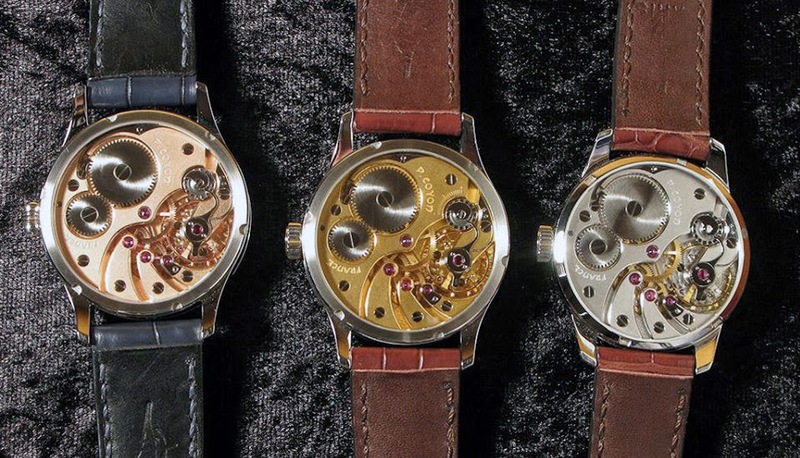 A purely independent watchmaker, Pascal Coyon takes care of each piece bearing his name so the delivery time of the ordered watch is in the 9-12 months range. 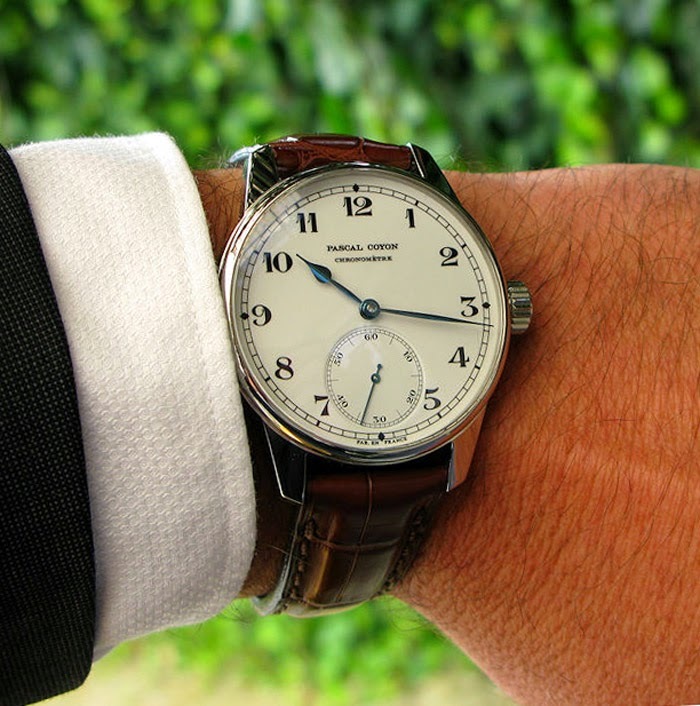 A wait that will make wearing the Chronomètre even more gratifying. Pascal Coyon can be reached through his Facebook page. I own one of the Coyon Chronometres and it's just a work of art. The dial is spectacular, the movement looks like it out-qualities PP and it keeps ridiculously good time. A bargain! 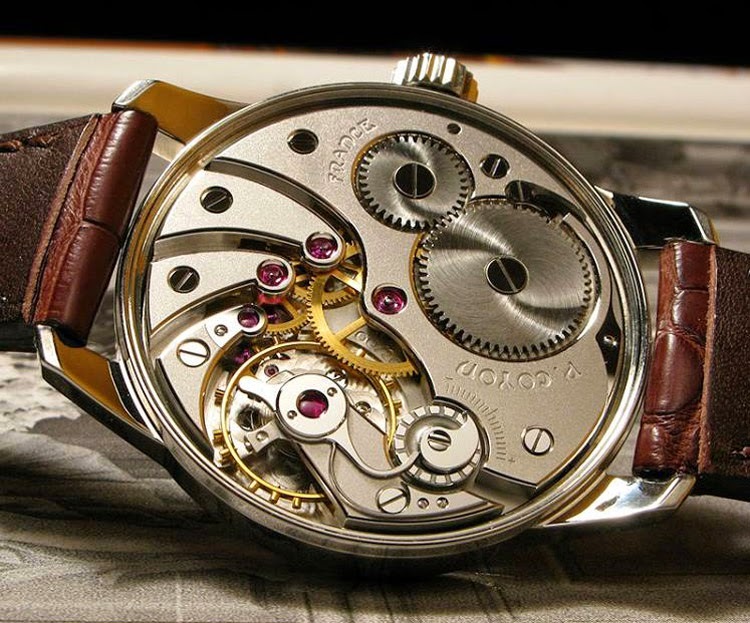 Pascal Coyon is a French watchmaker which is creating some buzz among watch enthusiasts that are looking for high quality watches with superb finishing at reasonable prices. He recently unveiled his Chronometre, a watch from the classic design offering chronometric performances and powered by movements that he obtains from heavily redesigned and modified Unitas movements beating at 18,000 vibrations per hour (2.5 Hz).